Above postcard, date unknown, kindly sent by Richard Murr. Above photo, date unknown, kindly sent by Richard Murr. Above photo, circa 1940, kindly sent by Richard Murr. Above photo, 2017, kindly sent by Richard Murr. Public house that probably dates from the 18th century although there may have been an inn on this site by 1686. It was known as the "Ship" and named as such in 1827 when its lease was acquired by Stephen Hobday from John Capel and in all probability known as such before this date. 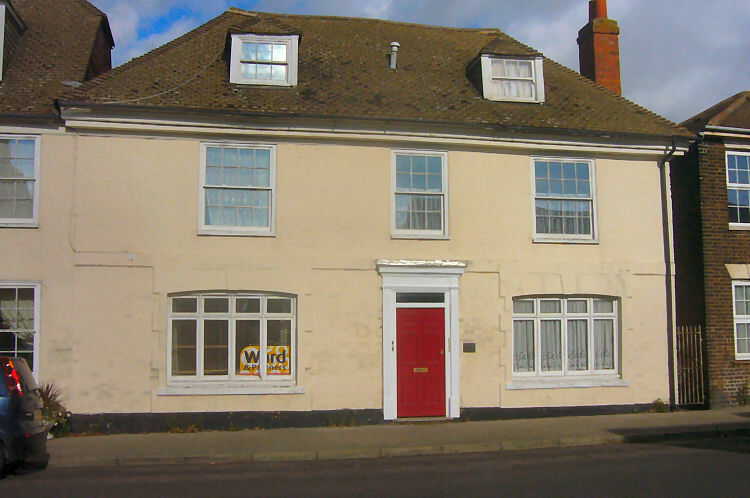 It is a double-fronted building, of two storeys with attics, possibly built with a four-room plan with side stacks. I believe the pub closed some time in the 1930s. The interior was extensively altered during an extensive modernisation in 1983 and today has a Grade 2 listing. During the 1950s and 60s the premises operated as a youth club. Kentish Gazette, Tuesday 23 June 1772. All the Post Chaises, Post Coach, Horses, Household Furniture, Plate, Linen, China, a large Quantity of Wine, Brandy, Rum and other effects, late belonging to Joseph Jones, a bankrupt; and also the Lease of the said Inn, with the Appurtenances thereto belonging, for the remainder of a term of 14 years, whereof there were 12 years unexpired at Lady-day last. The Goods to be viewed the Friday and Saturday before the day of sale, and catalogues may be had, after the 1st of July, at the "George Inn" at the Borough of Southwark, at the "Marquis of Granby" at Dartford, at the "Crown" at Rochester, at the "Mitre" at Chatham, at the "Ship" at Queenborough, at the "Dolphin" at Faversham, at the "Antwerp" at Dover, at the "Saracens Head" at Ashford, at the "Fountain," the "Red Lion," and "Kings Head" at Canterbury, at the "Star Inn" at Maidstone, at the "Dover Castle" at Greenstreet, at the "George" and "White Hart" at Milton, at the "Green Lion" at Rainham, at the "Rose," "George," and "Red Lyon," at Sittingbourne, and of Mr. John Smith, Auctioneer, at Sittingbourne. Kentish Gazette, Tuesday 23 September 1788. All that Genteel Household Furniture, Plate, and China, of Mr. James Ongley, deceased. 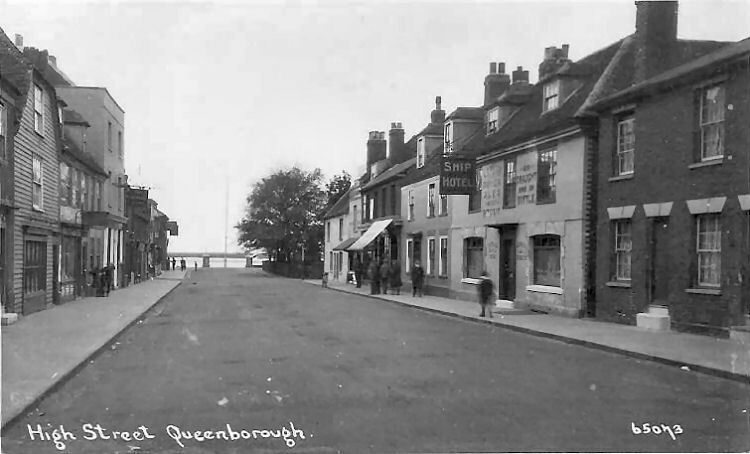 At his late Dwelling House, in Queenborough, Isle of Sheppey; consisting of Fine Goose and other Feather Beds, Bolsters, and Pillow; Four-post Bedsteads, with Cotton, Linen, and Harateen Furniture; Blankets, Quilts and Counterpains, Mahogany and Walnut-tree double and single Chests of Drawers; ditto Bureaus, Mahogany square and oval Dining Tables; ditto Card and Tea Ttables, exceeding good Mahogany Chairs, with Hair Seats; good friend Beech and other Chairs; Bath and Steel Stoves; Brass and Steel Fenders and Fire Irons; an Eight Day Clock in a Japan Case; Pier and Swing Glasses in Mahogany and other Frames; some handsome Silver Plate; a Quantity of Tea and other China; a Variety of Kitchen and other Furniture, as will be inserted in the catalogues. 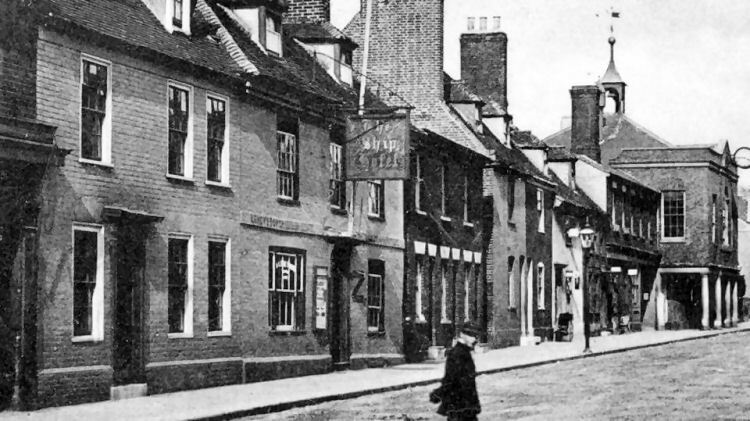 The sale to begin each day at 11 o'clock in the forenoon, and Catalogues of the whole may be had on Monday preceding the sale at the "Ship," Queenborough; the auctioneers, Milton; and the Place and Time of Sale. From Hampshire Telegraph and Sussex Chronicle etc (Portsmouth, England), Saturday, June 26, 1847; Issue 2490. To be heard at Maidstone, in the county of Kent, on the 13th day of July, 1847, at the hour of ten in the forenoon precisely. Charles William de Courcy Ross (sued and committed as Charles W. de Courcy Ross), formerly of the North Walls, in the parish of Saint Martin, Winchester, Hampshire; then of Chilcomb, Hampshire; then of Westbourne, Sussex; then of Upper Berkeley-street, West Middlesex; then of Westbourne aforesaid; then of Saint George's-square; Portsea, Hampshire; and late of the "Ship Inn," Queenborough; Isle of Sheppy, Kent; the whole time a Commander in her Majesty's Royal Navy on half pay. 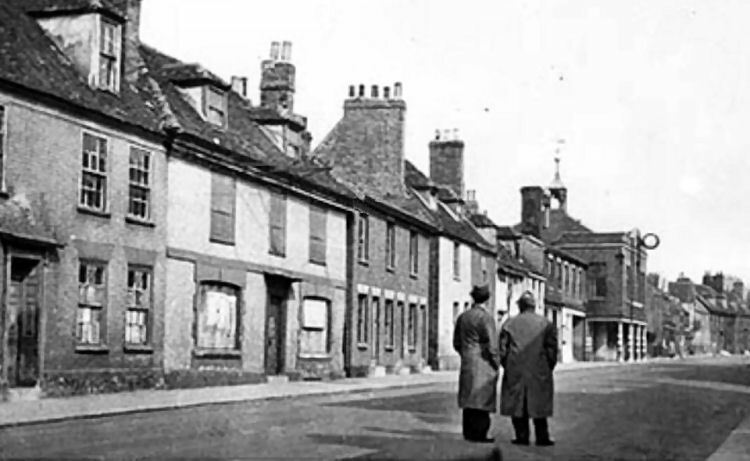 Nicholls and Doyle, 48, Bedford-row, For Charles Morgan, Maidstone. Obadiah White, of the "Ship Inn," Queenborough, Kent, victualler. From The Standard (London, England), Monday, March 20, 1876; pg. 3; Issue 16115. THE GALE AND SNOW STORMS. At the "Ship Inn," Queenborough, on Saturday, an inquest was held before Mr. Hills, County Coroner, respecting the death of John Brown, a carpenter, of Walworth, who was killed the previous day on the London, Chatham, and Dover Railway pier being built for landing passengers from the Flushing steam boats, by a wooden goods shed being blown down. As the frame only had been erected, the coroner expressed his surprise that a gale of wind should have blown down a shed 180ft. long. A witness named Potter, who was working upon the building when it fell, stated that it was a whirlwind that blew it down. He said they had no indication of the mishap, the weather having previously been calm. This witness and a man injured by the accident said the structure was of a substantial kind.